The International Air Transport Association (IATA) has released full-year 2018 data for global air freight markets showing that demand, measured in freight tonne kilometres (FTK) grew by 3.5% compared to 2017. This was significantly lower than the extraordinary 9.7% growth recorded in 2017. Freight capacity, measured in available freight tonne kilometres (AFTK), rose by 5.4% in 2018, outpacing annual growth in demand. 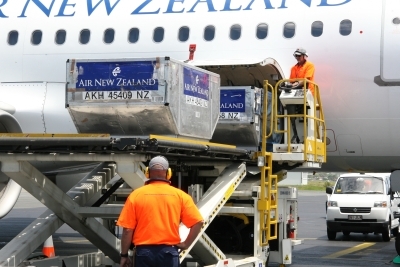 This exerted downward pressure on the load factor but yields proved resilient. “Air cargo demand lost momentum towards the end of 2018 in the face of weakening global trade, sagging consumer confidence and geopolitical headwinds,” said IATA’s director general and CEO Alexandre de Juniac. “Still, demand grew by 3.5% compared to 2017. We are cautiously optimistic that demand will grow in the region of 3.7% in 2019. But with the persistence of trade tensions and protectionist actions by some governments there is significant downside risk. Keeping borders open to people and to trade is critical. “To attract demand in new market segments, the air cargo industry must improve its value proposition. Enabling modern processes with digitalization will help build a stronger foothold in e-commerce and the transport of time- and temperature-sensitive goods such as pharmaceuticals and perishables,” Mr de Juniac said.